BPSC Answer Key 2019: Assistant Answer Key 2019 is available now for Assistant Exam 2019. The exam was organized by Bihar Public Service Commission on 17 Mar 2019. 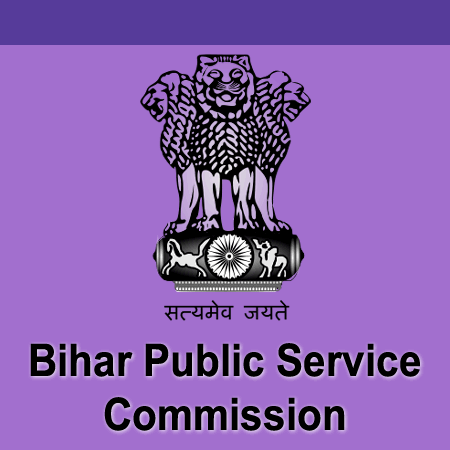 BPSC Assistant Answer Key 2019: Bihar Public Service Commission has issued the Answer Key on 20 Mar 2019 for Assistant Exam 2019 which was conducted on 17 Mar 2019. Answer Key can be accessed from the link given below. BPSC AE (Civil) Pre Final Answer Key 2019: Bihar Public Service Commission has issued the Answer Key on 14 Mar 2019 for AE (Civil) Pre Final Exam 2018 which was conducted on 16 Sep 2018. Answer Key can be accessed from the link given below. BPSC AE Mechanical Pre Final Answer Key 2019: Bihar Public Service Commission has issued the Answer Key on 13 Mar 2019 for AE Mechanical Pre Final Exam 2018. Answer Key can be accessed from the link given below. BPSC Asst. Engineer Pre Exam Answer Key 2019: Bihar Public Service Commission has issued the Answer Key on 31 Jan 2019 for BPSC Asst. Engineer Pre Exam 2019. Answer Key can be accessed from the link given below. BPSC Bihar PCS Pre 64 Answer Key 2018: Bihar Public Service Commission has issued the Answer Key on 27 Dec 2018 for BPSC Bihar PCS Pre 64 Exam 2018. Answer Key can be accessed from the link given below. BPSC Civil Judge Answer Key 2018: Bihar Public Service Commission has issued the Answer Key on 30 Nov 2018 for BPSC Civil Judge Exam 2018. Answer Key can be accessed from the link given below. BPSC Assistant Engineer Final Answer Key 2018: Bihar Public Service Commission has issued the Answer Key on 27 Sep 2018 for the exam which was conducted on 15 Sep 2018 to 16 Sep 2018. Answer Key can be accessed from the link given below. BPSC CDPO Pre Exam Answer Key 2018: Bihar Public Service Commission has issued the Answer Key on 18 Sep 2018 for the exam. Answer Key can be accessed from the link given below. BPSC CDPO Answer Key 2018: Bihar Public Service Commission has issued the Answer Key on 26 Jul 2018 for the exam. Answer Key can be accessed from the link given below. BPSC 63rd Combined (Preliminary) Competitive Exam Answer Key 2018: Bihar Public Service Commission has issued the Answer Key on 12 Jul 2018 for 63rd Combined (Preliminary) Competitive Exam 2018 which was conducted on 01 Jul 2018. Answer Key can be accessed from the link given below. BPSC Mining Development Officer Answer Key 2018: BPSC has issued the Answer Key on 08 Apr 2018 for the exam. Answer Key can be accessed from the link given below. BPSC Director (Prosecution) Answer Key 2018: BPSC has issued the Answer Key on 08 Apr 2018 for the exam. Answer Key can be accessed from the link given below.